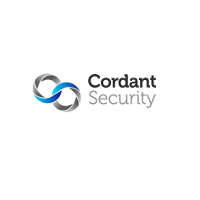 Cordant Security, one of the UK’s largest security companies, has been awarded a five-year contract to provide manned security services to Scottish Power. The deal will see the company provide 24/7 security across all of the energy provider’s locations within the UK. The company will provide a full range of manned security services, including mobile patrols, keyholding and alarm response. The security specialist has implemented an internal training programme for the employees working across Scottish Power locations, whilst a dedicated Account Manager has been appointed to ensure all operations are delivered efficiently.